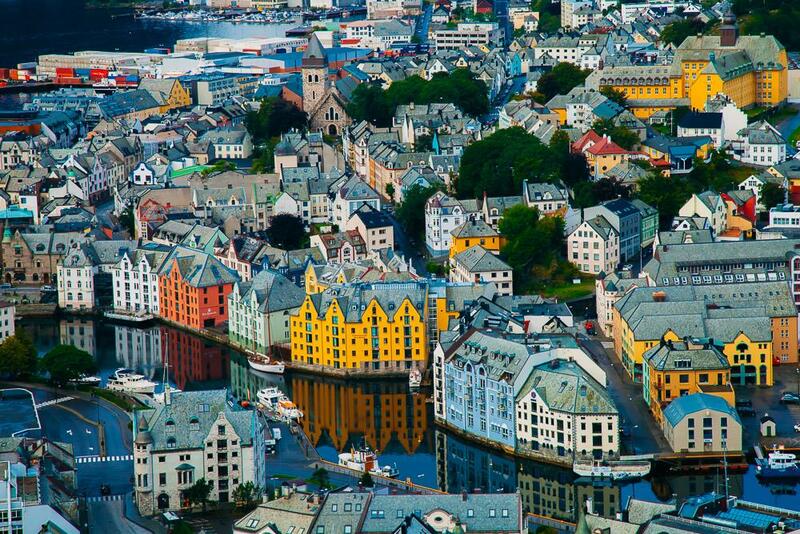 Did I ever mention that I strongly considered moving to Ålesund, Norway before moving to Trondheim? 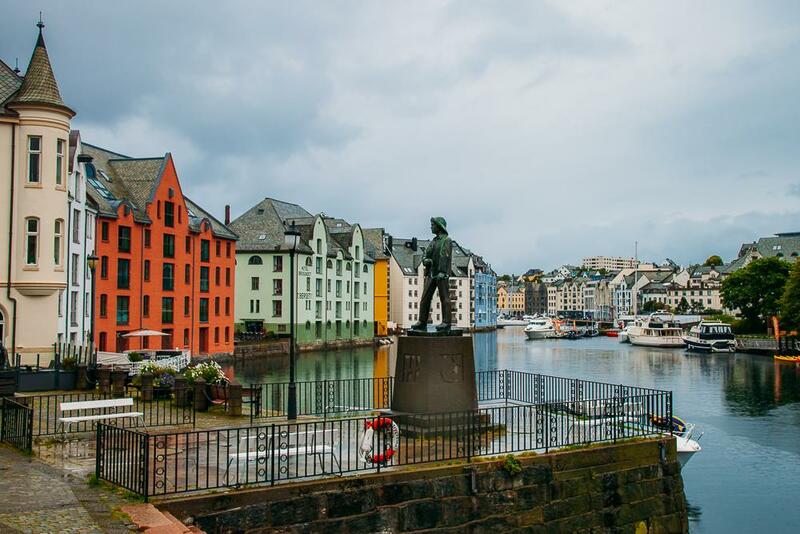 It’s one of Norway’s most beautiful cities, there are so many things to do in Ålesund, and it’s the perfect base from which to explore the Norwegian fjords and mountains. Um, perfect much? In fact, one of the coolest things about Ålesund is how proud the locals are of it. Ask anyone there how they feel about living in Ålesund (and since I was considering moving there I asked everyone!) and they will go on and on about how it’s not only Norway’s most beautiful city but the most beautiful city in the world. And while the latter might be an exaggeration, I can confirm that Ålesund is by far the most beautiful city I’ve visited during my years living in Norway. Plus it’s nearby some of Norway’s most spectacular nature, including Geiranger Fjord and Trollstigen, so it makes the perfect base from which to explore the country. 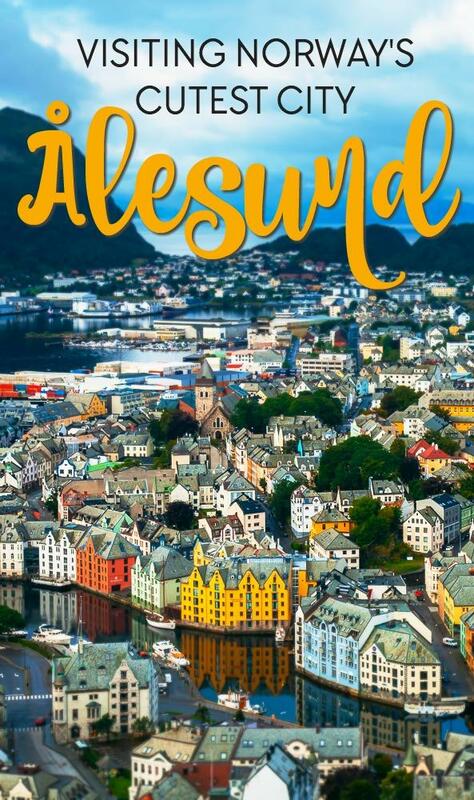 I would recommend flying straight into Ålesund (you can find cheap flights to Ålesund here), booking a hotel or Airbnb directly in Ålesund (compare hotels here and Airbnbs here) and then renting a car to explore the surrounding area as well (I prefer Sixt, check prices here). 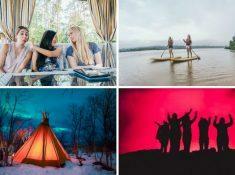 Because while there are loads of things to do in Ålesund that will take up several days (2-3 days there would be ideal), there’s also so much to do in the surrounding area. Or if you want to see more of Norway, a visit to Ålesund is included in a couple of my one week Norway itineraries. 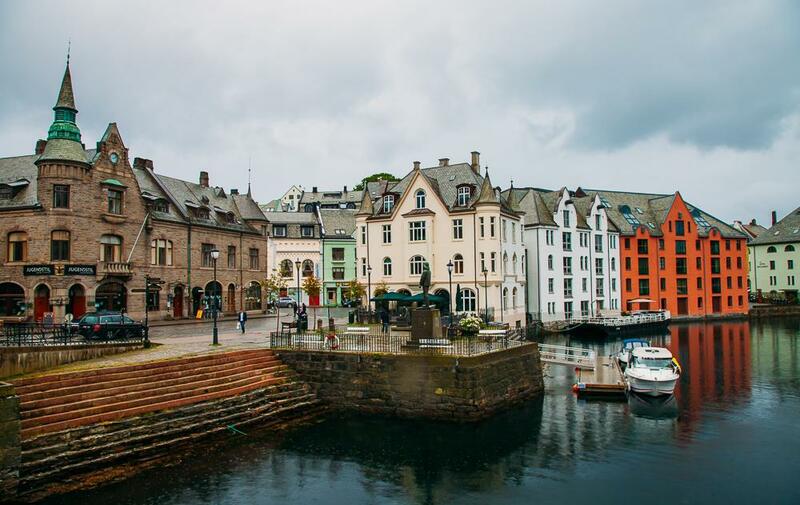 Ålesund is built on a row of islands extending out into the ocean, but it’s most famous for its beautiful architecture, which is certainly something that not many (any?) Norwegian cities can say. You see, after a fire destroyed the city in 1904 it was rebuilt in vibrant Art Nouveau. 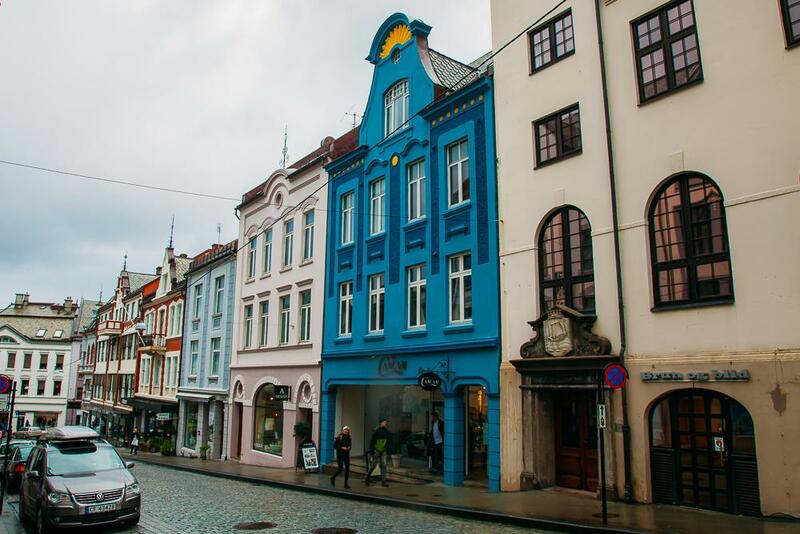 And that’s what’s really wonderful about Ålesund – I had seen pictures of the center before, but I always assumed it just had a few beautiful Art Nouveau buildings here and there. But because the entire city had to be rebuilt, it really is all Art Nouveau. I felt like I was wandering through the streets of some Central European city, not a Norwegian one (in a good way). If you want something more guided, check out this walking tour. 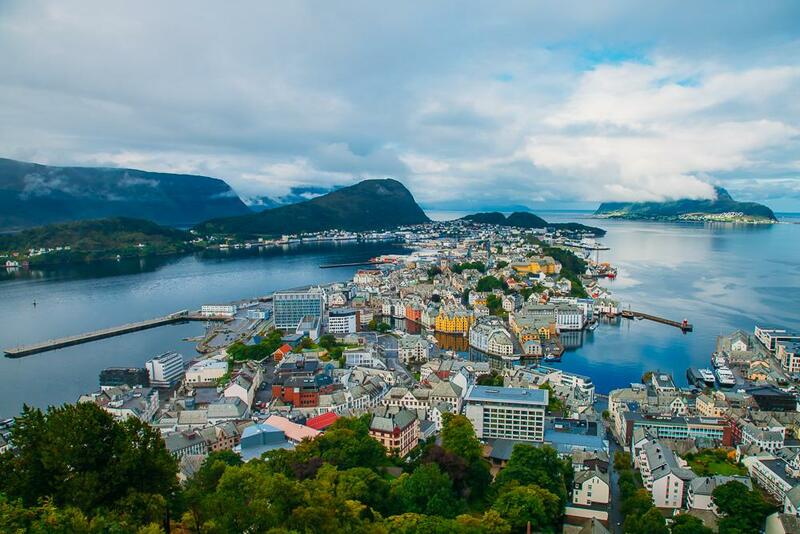 Ålesund is incredibly walkable, as the downtown isn’t too large, and the famous viewpoint over the city, Fjellstua, is just a 418 step walk up from the city park. 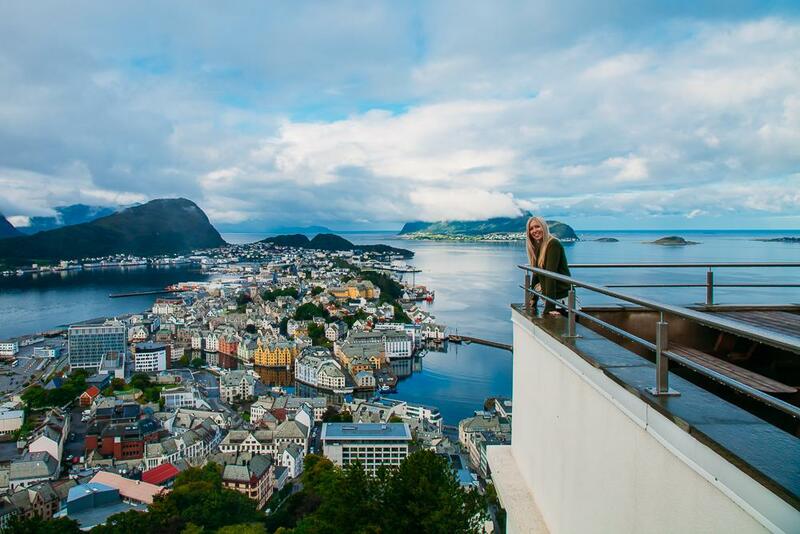 Okay, maybe 418 steps are sort of a lot, but it’s definitely worth it for the best view over Ålesund! If you’re planning to do a tour of, the Fjellstua viewpoint is included in this one. 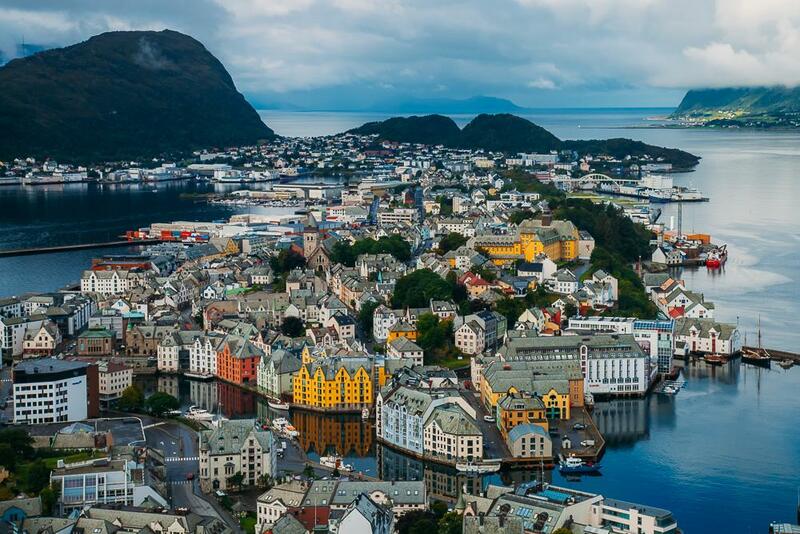 Ålesund is also home to Norway’s most important fishing harbour! So, of course, you need to eat some fish while you’re there. Plus there is nothing better than a hot bowl of fish soup on a rainy day. If the weather is better then you could sit outside with some fresh fish and chips and enjoy the views out over the harbour. And this is totally random, but I also ate the best pizza I have ever had in Norway here. It was at a little pizza/kebab place in the center square, which I unhelpfully can’t remember the name of, but if you go to the center you’ll see it. 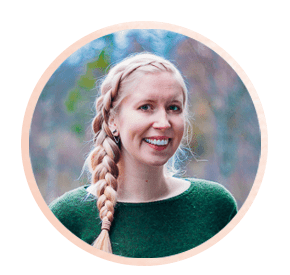 Because you don’t need to eat fish all the time while in Ålesund (though maybe don’t tell any locals that I told you to eat pizza!). Dan’s number one priority whenever we get to a city is to track down the music shops, and luckily for him (and you if you’re a music fan!) Ålesund has several record shops. The first one we went to was Jukebox, right in the town center. It’s one of those super cool shops where the staff wear suits and while I browse through records I try to pause on ones that I know are considered cool in the hopes that no one notices that I’m actually not even a tiny bit cool. But the next shop, Serie Antikvariatet, was much more relaxed. 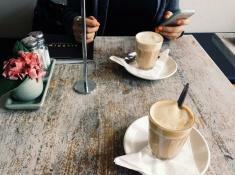 We chatted with the guy running it (who thought we were Danish! ha) and browsed through piles and piles of records, vintage magazines, and movie stills. And I left confident that when we move to Ålesund we’ll be visiting this store often. Because yes, after hanging out here I once again really wanted to move to Ålesund. Ålesund’s aquarium is quite famous in Norway – and for good reason. Here you’ll find penguins, otters, and all sorts of other sea creatures. This one is especially good for families, or if you’re looking for something to do on a rainy day. I’m not a big museum person, but the lifeboat display here was really cool! 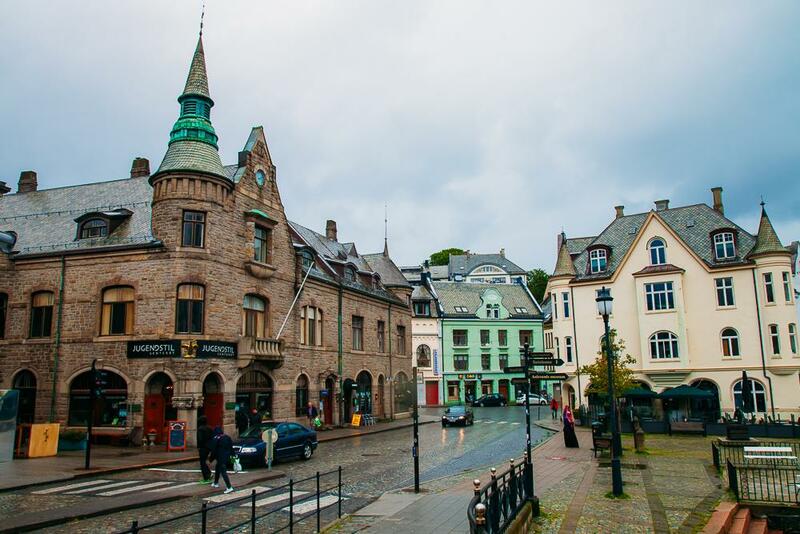 The museum offers a really comprehensive way of learning more about Ålesund’s history and culture. Okay, you don’t have to listen to Ålesund while in Ålesund, but it is pretty cool to listen to the song while you’re actually there! If you have a car and want to go somewhere peaceful nearby the city, you can drive out to the Alnes Lighthouse on the island of Godøyfor some pretty views. The lighthouse is about 30 minutes from the city. It’s really quiet out there as there isn’t much there besides the lighthouse, so it makes for a very peaceful escape. Plus if you visit in the summer you might see some surfers in the bay! If you wind up not renting a car, you a visit to the Alnes Lighthouse is included on this shore excursion tour. Even if you’re not religious, the Ålesund Church is worth a peek inside. The stained glass windows are beautiful and the church gives you a bit of a sense of what life was like for locals in Ålesund in the last century. It’s a lovely little spot, and I think they only ask for 3 kroners to come in and see it. The boat trip to from Ålesund to Hjørundfjord takes 4 and a half hours and includes lunch at the famous Hotel Union Øye, which I’ve written about before. You can also check out this kayaking tour through Hjørundfjord. 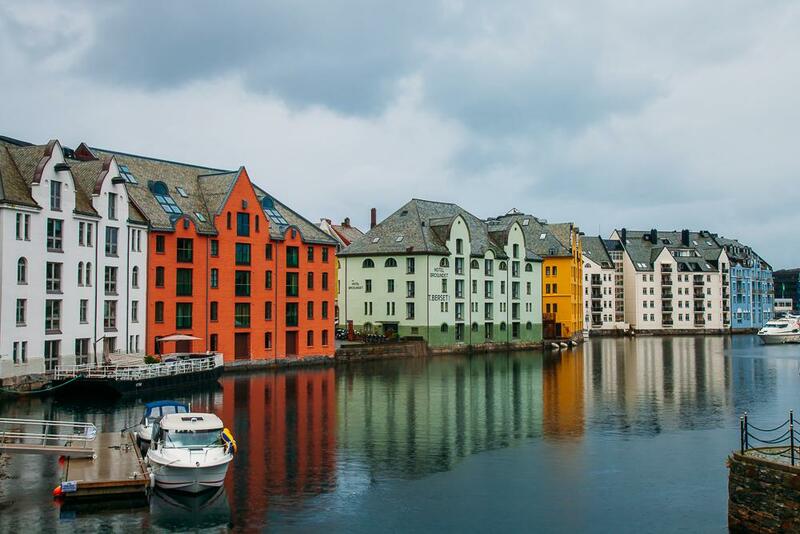 Instead of walking, explore Ålesund via kayak. You could do either an architecture-themed tour around the city or go out to an archipelago near the island of Ellingsøya on this tour. 14. 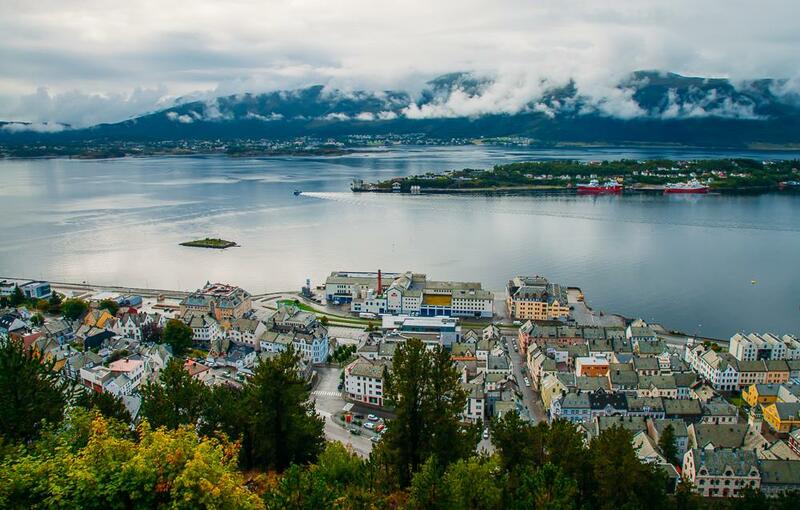 Take advantage of Ålesund’s hop-on, hop-off bus. Kayak from Ålesund through Brosundet and across Aspevågen. Then once you get to the island of Hessa, you can hike up Mount Sukkertoppen and see views of the ocean, the Sunnmøre Alps, and Ålesund. Check here for more details. 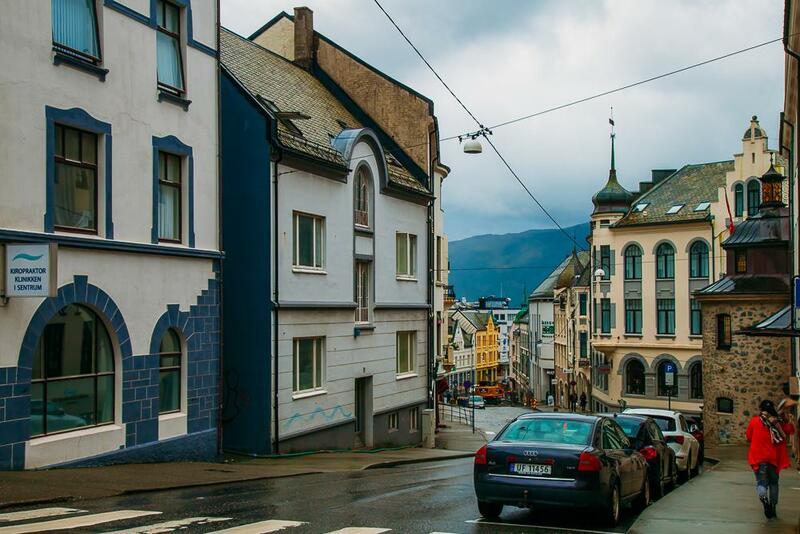 The first time I visited Ålesund, I stayed at this Airbnb, which was cheaper than a hostel, plus it had a kitchen so I didn’t have to pay for eating out (one of the biggest expenses when traveling in Norway). If that’s booked check other Airbnb options, like this private flat, this bright, top floor apartment, or this retro camper. And if this is your first time using Airbnb you can get a discount by [signing up here]. To Dan’s and my great joy, after a very rainy week on Norway’s coast, the weather forecast predicted clear skies for our entire stay in Ålesund! Except that apparently in Ålesund clear skies really means “clear skies,” or actually just pouring rain. All the better, as that meant we’d get to experience what Ålesund is really like, since apparently sunny days there are quite rare. The lesson? Bring appropriate clothing with you! For rain gear, I generally like Backcountry’s selection. 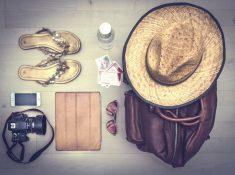 You can find my packing list for summer in Norway here, and winter in Norway here. Hi! thanks for all the info you shared with us! I always wonder, how is the drive in Norway? I saw on the map that some roads are totally curvy, esp those that goes up the mountain like the trolls ladder. I will be coming for California, and our roads here are pretty much straight and I am pretty sensitive with motion sickness 😂😂. Thank you so much! Oh yes, most of the roads are very curvy. I also suffer from motion sickness and used to get sick on pretty much every drive. Now I use sea bands and they help SO much. Definitely get some if you haven’t tried them (you can find them on Amazon, and they have them at most pharmacies in Norway).